Just picking up milk for home at the supermarket and wondering what on earth to come up with for pudding after our Sunday Roast. 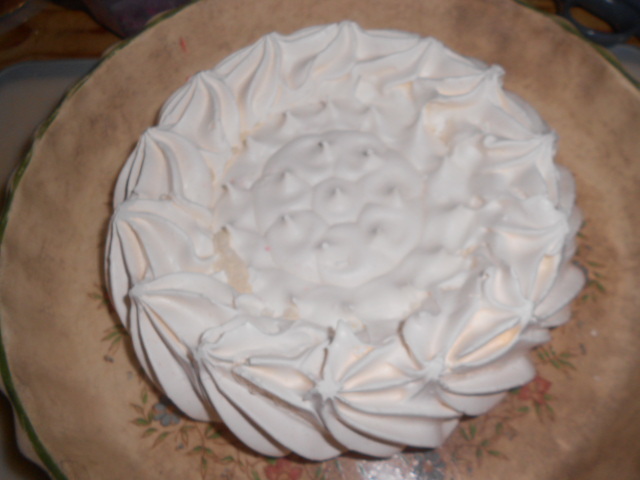 Middle Son being helpful added a pavlova case and toffee sauce to the basket. 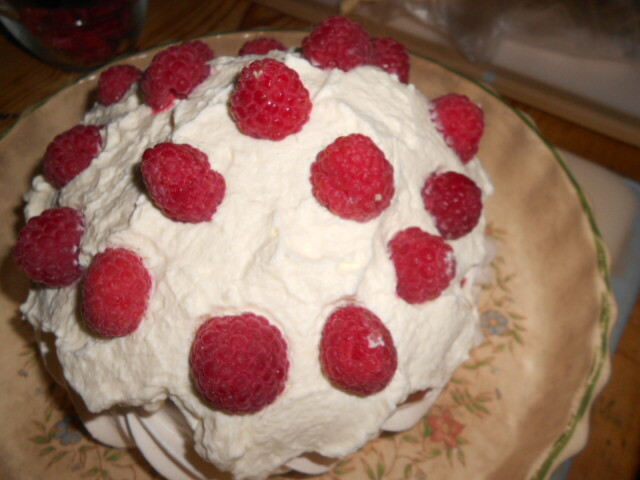 I added the raspberries and cream and together we put this very quick and simple pudding on the table later that day. Take out a few whole raspberries for decoration later on. 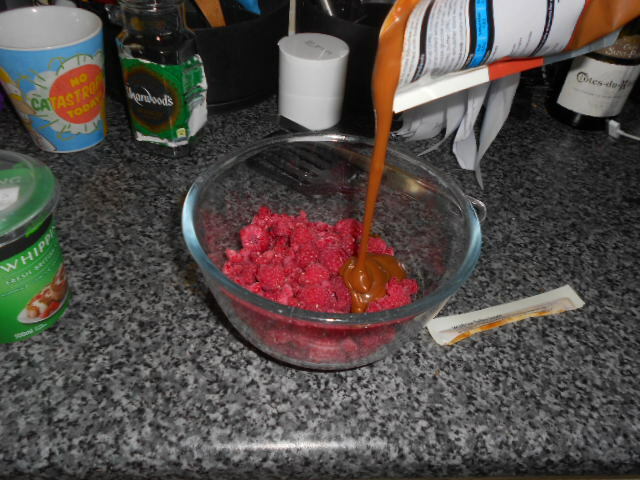 Mix the remainder of the raspberries with most of the toffee sauce. 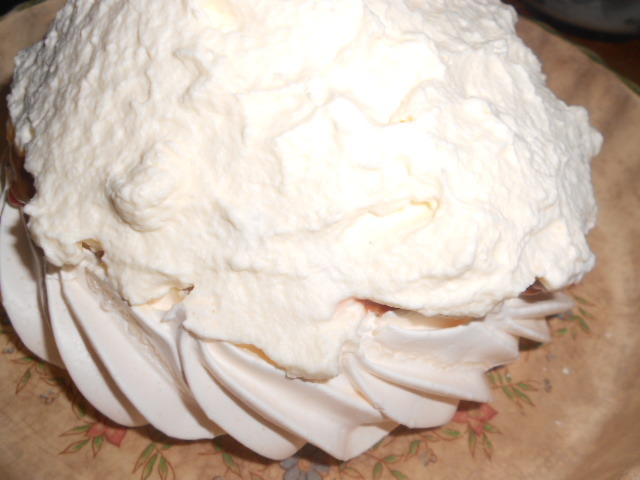 Add the mix to the pavlova case. 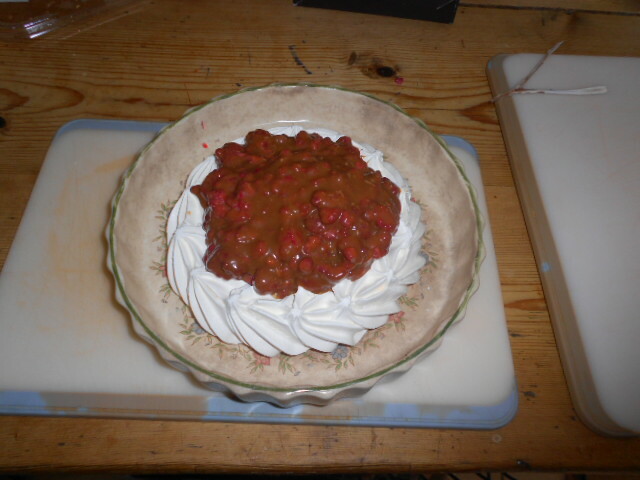 Whip the cream so it stands in peaks and then cover the raspberry mix generously. 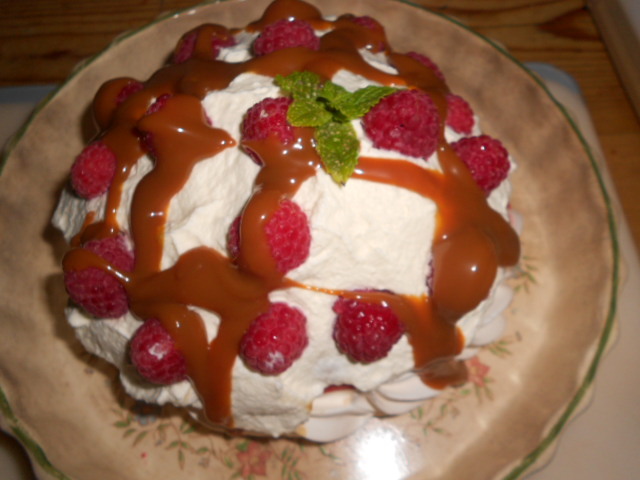 Use the saved raspberries to decorate and then dribble toffee sauce over the whole pudding. we added a sprig of mint to finish it all off. Enjoy, but don’t expect any left for the next meal. This disappeared off the plates so fast with many appreciative grunts. See how you would do this differently and let me know.